With over 75 million millennials in the US alone, marketing your restaurant to millennials is without a doubt one of the best things you can do to drive traffic. Marketing to millennials wasn't always a worthwhile investment, in the past it meant restaurants would be marketing to teenagers. Nowadays, with the average age of a millennial sitting comfortably at 18, you are opening up your restaurant to an entire group of people with new, disposable income. If you are a restaurant looking to tap into this market, here is what you need to know. By the year 2020, Millennials are predicted to spend an incredible $1.4 trillion annually. To put that into perspective, the annual retail sales in the United States alone is $4.6 trillion, meaning millennials will account for 30% of all retail revenue. As a restaurant owner, if you are not taking the time to understand millennial trends and make them work in your favor, your restaurant will never get a slice of the pie. Millennials, in particular the American millennial population, can be sorted into five different groups. Understanding these groups is imperative to how you approach marketing to millennials, and allows you to target one group or another based on their preferences. The first group makes up 23% of the millennial population. This group is more disconnected from the online world with relation to the other groups, and have been given the name "digital window shoppers". The second group makes up 26% of the millennial population. Unlike the previous group, these millennials are much more involved in technology, earning the name "digital socialites". The third group makes up 23% of the millennial population. These individuals are incredibly tech savvy and are some of the biggest consumers of online content. The fourth group makes up 17% of the millennial population. These millennials are more likely to be unemployed. The last group of millennials make up 15% of the entire millennial population. These individuals are highly engaged. To learn more about millennial profiles and their habits, check out this interesting study conducted by the University of Southern California. What Millennials Are Looking For? If you are still caught up in the conventional means of marketing, don’t worry it’s not too late to switch over, but first you need to understand a few of the millennial trends. Millennials have a great appreciation for authenticity in the online space. But what exactly does that mean for your business? In essence, for your restaurant to be authentic it should be almost completely transparent, have a deep understanding of its customers, and most importantly reflect that in its communication. Often times, those running restaurant get so caught up in maintaining a certain image that they forget to be real people. When it comes to social media, millennials appreciate a brand that can be honest, relatable, and sometimes humorous. With terms like YOLO (you only live once) and FOMO (fear of missing out) becoming some of the most used phrases among millennials, it’s obvious they value experiences over material possessions. In the restaurant industry it’s a bit difficult to offer your guests an experience with every dinner. But by understanding that is what they are looking for, you can begin to cater your offerings to suit their taste. 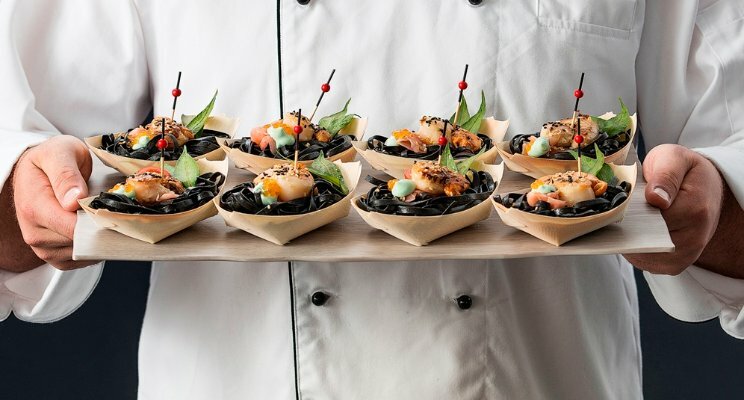 For example having a few dishes prepared live at the table with dry ice to give your guests a show, or maybe even holding theme nights and weekly activities at your restaurant to keep guests coming back for more. Now more than ever, millennials are looking to consume content at an alarming rate. With services like Netflix allowing subscribers to binge watch shows for hours at a time, the user perception has shifted, resulting in a vast majority of your demographic wanting new and exciting content posted regularly. With this in mind, you can begin to plan your social media schedule to have a constant flow of engaging content such as videos, live stories, blog posts, and even Q & A sessions. Before you can even begin thinking about marketing your restaurants to millennials, you need to first make sure your restaurant is 'millennial friendly'. A few ways to achieve this. It’s no surprise, millennials love technology. A restaurant that is accessible and innovative is the perfect spot for millennials looking for a streamlined dining experience. There are many ways to achieve this at your restaurant. For starters, partnering with a restaurant reservation app is a great way to increase your restaurant’s discoverability. Millennials are much more likely to book a table at your restaurant if they can do it from an app rather than having to call. Simple changes like offering digital receipts, iPad menus, and mobile payment make all the difference in creating a millennial friendly ecosystem. No generation is more health conscious when going out to eat than millennials. Your restaurant should definitely keep that in mind by offering healthier options. If possible, cut out frozen produce in favor of locally sourced fresh fruits and vegetables. In addition, try to alter your menu to feature nutritional information, this is both informative and inclusive of all customers. Millennials will appreciate it. Millennials are a socially aware generation, and they love to see the same from restaurants they frequent. 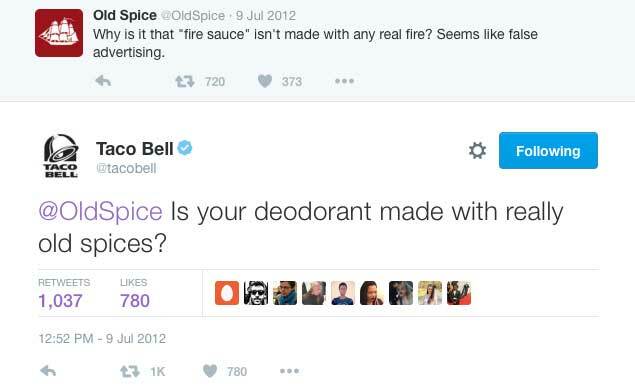 Brands like Starbucks, McDonald’s, Chipotle, and Taco Bell have been doing it for years. Raising money for charity not only helps make the world a better place, but also reflects well on the restaurant. Look for local charities to support, and come up with a feasible donation strategy. Such as donating a percentage of every meal to charity. Or pledging to waste no food, and donating all leftovers at the end of the day to charitable organizations. These days, customers expect your restaurant to not only serve delicious food, but also food that looks good. Taking the time to master the presentation of each dish can really go a long way. Make sure each dish is plated as perfectly as possible to encourage your customers to snap some Instagram pics. The best form of marketing for your restaurant is through word of mouth, and if no one is sharing their pictures from their visit, how do you expect people to discover your restaurant. Once you have your food down to an art, the next most important aspect of your restaurant is the ambiance. Millennials want more than just a place to eat, they are looking for an experience. When it comes to design choices, try to break free from the typical restaurant designs, and think outside the box. Everything down to the music playing in the background needs to be suited for a great experience. Now that you have made your restaurant millennial friendly, it's time to start thinking about your millennial marketing strategy. Here are just a few suggestions. Sometimes the easiest method of marketing to millennials is to just be present wherever they are online. Whether that means being on Facebook, Instagram, and Twitter or merely having a restaurant profile on Google. Millennials want to have access to whatever it is they are looking for within seconds of wanting to find it. A great way for restaurants to achieve this and make it work in their favor is through the use of booking widgets. Restaurant booking widgets can be placed anywhere online and allow your potential customers to book a table in seconds wherever they are online. When it comes to millennials, social media is the key to promoting your restaurant. Having a Facebook, Instagram, and Twitter account for your restaurant is now mandatory. These visual based platforms work by getting eye catching photos directly to your potential customers. Whereas customers used to choose restaurants based on the food they serve, now a single picture online is enough to convince them to pay the venue a visit. When a millennial discovers your restaurant, the first thing they will probably do is check online reviews. To make this work in your favor, offer discounts as an incentive to encourage customers to leave reviews online, whether good or bad. This will ensure you have a decent amount of reviews for future customers to discover. A great way to retain millennials at your restaurant is through loyalty programs. Your restaurant can partner with digital loyalty programs to make the experience a much easier one. Who isn't using Google these days? Millennials in particular use Google for almost everything, whether it be directions, restaurant information, or even restaurant discovery. If your restaurant isn’t already listed on Google, make sure it’s your top priority to create a listing. Don’t forget to add as much info as possible about your restaurant, including photos.